Directions: Here is a map showing the roads in and around Colorado. Study the map and answer the questions. Q 1: Does Highway 70 run east and west or north and south? 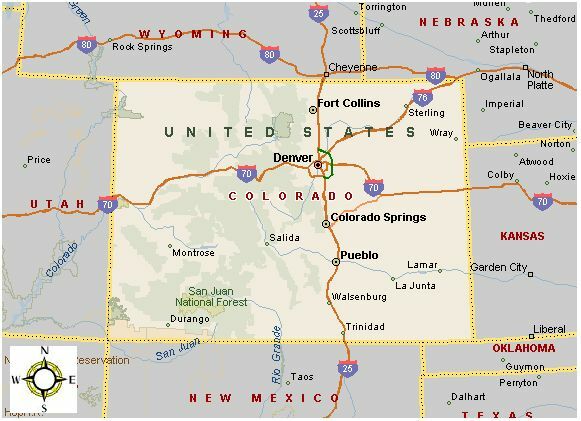 Q 2: Which two Interstate Highways cross each other inside Colorado? Q 3: Which is farther north?